Don't expect your usual Chinese food. 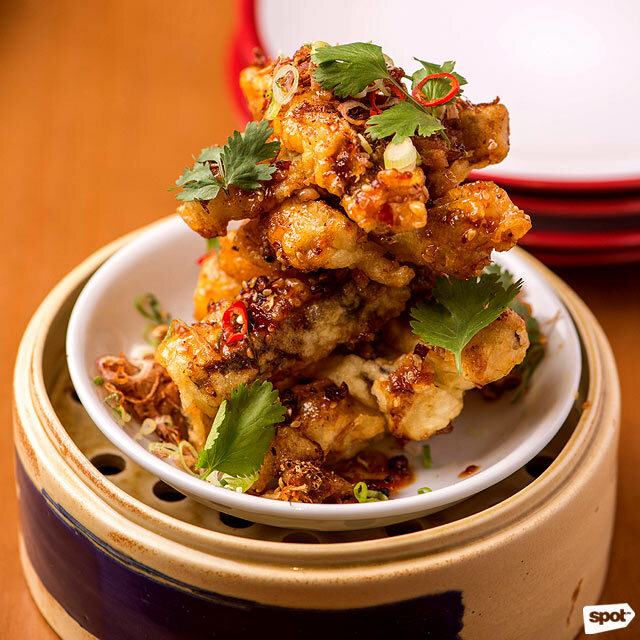 (SPOT.ph) Leave behind all your preconceived notions of Chinese food. 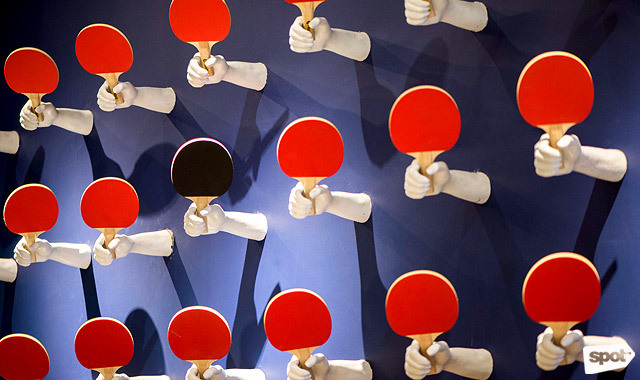 For one, red is nowhere to be seen, save for the art installation of ping pong paddles on an accent wall. Ping Pong Diplomacy isn't the type to be boxed in that way. 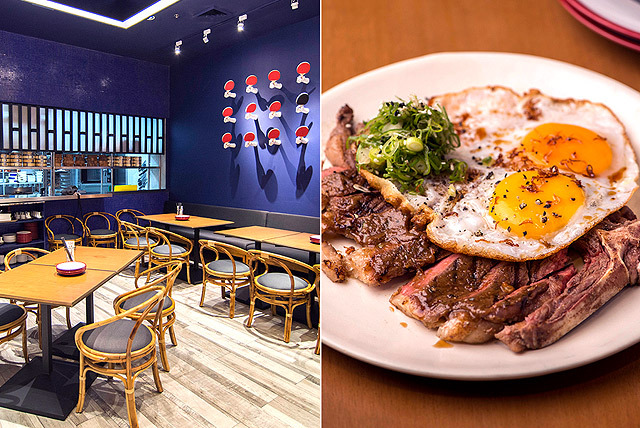 Owner Charles Paw describes his newest venture as inspired by Binondo, but a more hipster take on the place. 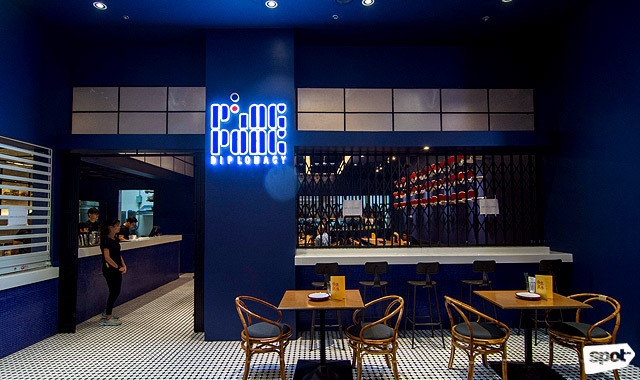 Hence the royal-blue walls (soon to be covered in art and posters), the open kitchen that's similar to those in your favorite Chinese hole-in-the-wall but not quite, and the ceramic plates that look like takeaway cartons and bamboo steamers. The menu, by chefs Him Uy de Baron, Noel Mauricio, and Miko Aspiras, is just as eccentric. It’s Chinese-American fusion—but don’t think Panda Express. 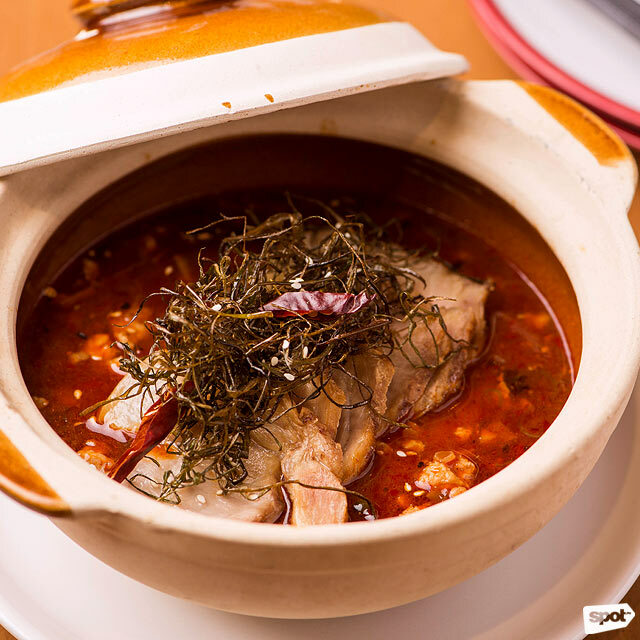 The dishes here are more refined, with most taking the form of Chinese food but with entirely new flavors. Charles shares that he challenged the culinary team of Ping Pong Diplomacy to interpret Chinese food as if they have never tasted it before. It's not an easy undertaking, considering how well-integrated Chinese cuisine has become in local food culture, but the trio of chefs rose up to the challenge—and exceeded expectations. 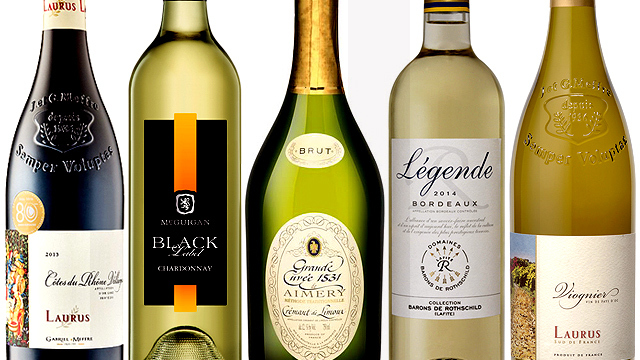 The results are comforting in their familiarity, but amplified with flavor profiles that will excite your palate. The menu is divided into Small Plates and Big Plates—though the Small Plates can easily be shared between two or three people. The Crispy Eggplant with Fragrant Sauce is a great way to begin your meal, with soft almost melt-in-your-mouth eggplant sliced like French fries, coated in a light and crisp batter, and covered with a sticky smoky-sweet glaze. It’ll be hard to resist finishing this all by yourself. The Truffled Mushrooms Edemame Shumai overflows with three different kinds of mushrooms that take the place of the usual ground pork or shrimp. 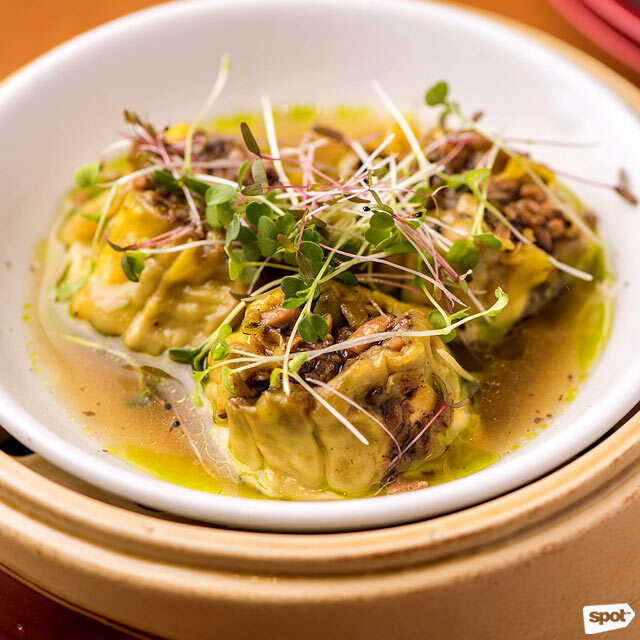 Take a siomai in one bite to get the full explosion of richness from truffle, with fresh sprouts giving your palate a welcome respite. 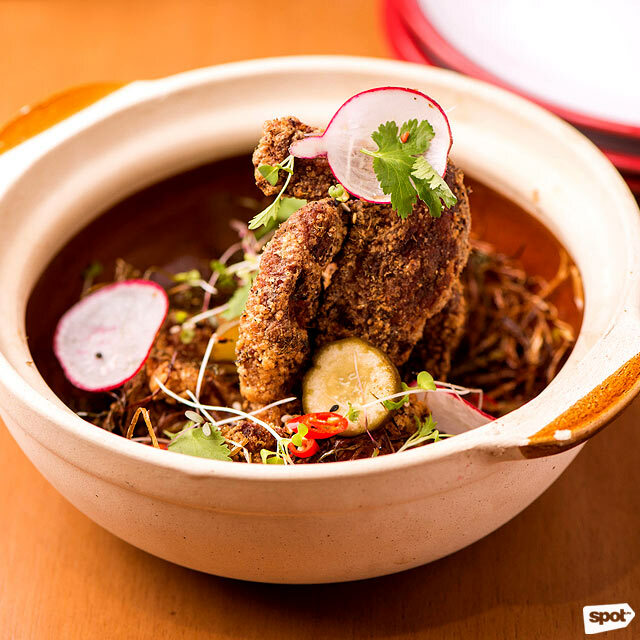 A dish that showcases Ping Pong Diplomacy’s idea of Chinese-American fusion is the Ping Pong Wings. The spice rub will remind you of Taiwanese chicken chops, and it complements the slightly sweet chicken wings so well, you’d wonder why no one had thought of fusing the two earlier. The Mapo Tofu here at Ping Pong Diplomacy also strays far from the original. Instead of tofu squares, this dish has steamed fresh soya custard that covers the bottom of the pot. The result is “tofu” that has a velvety mouth feel, which makes slurping it with the spicy sauce feel more comforting. Yes, slurp it. 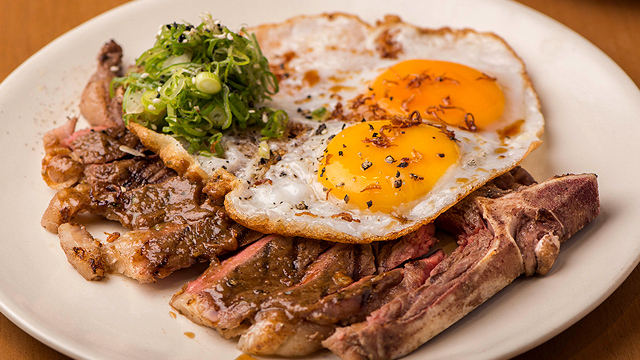 If you’re looking to indulge, have the 5-Spice Steak and Eggs. The Kitayama T-bone is fork-tender with the familiar sweet-and-spicy flavor profile of five-spice. 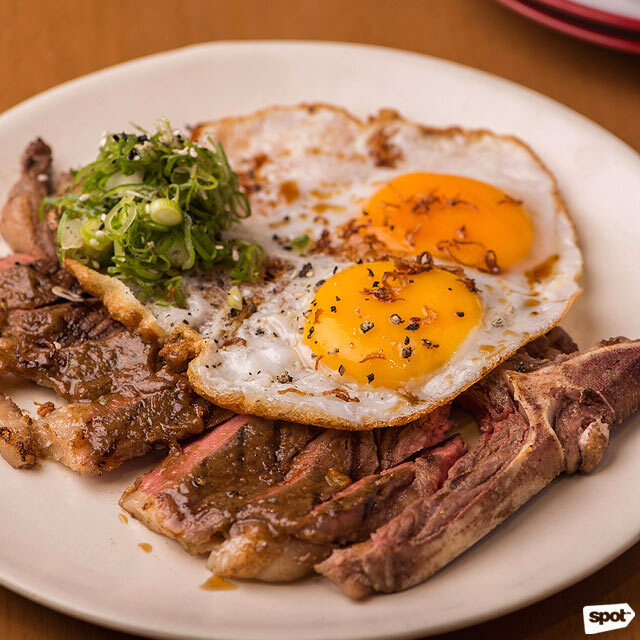 Instead of gravy, the steak is served with fried duck eggs—break the runny yolk and mix it up with the scallions to create a “rich” sauce for your beef. Of course, no Chinese restaurant is complete without fried rice, and Ping Pong Diplomacy is no exception. But you won’t find your usual Yang Chow here. 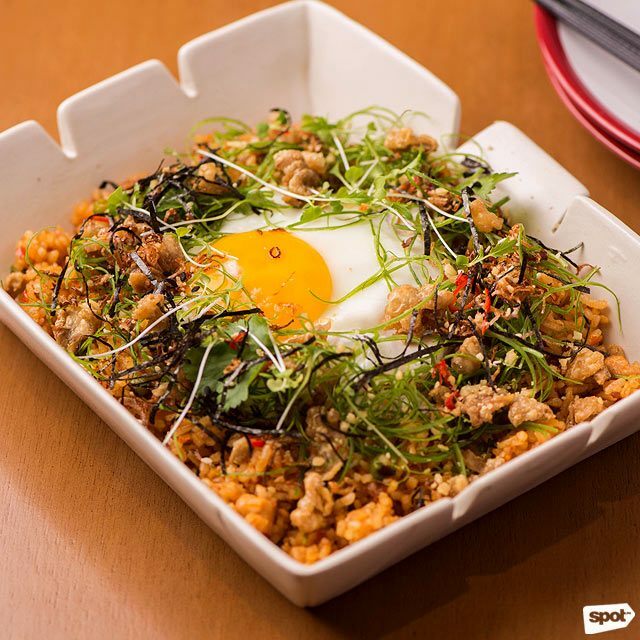 The Chicken Skin Dandan Rice can get really spicy (to further stray away from Chinese, we’d say it reminds us of kimchi rice) so be sure you can handle heat. But it’s so tasty you won’t be able to stop after the first bite, with the crispy chicken skin adding a welcome salty crunch. The desserts, crafted by Chef Miko, are the perfect palate cleanser after your spice-filled feast. The Fortune Balls or balls of sweet sticky rice, come in three different flavors: Taro, Ginger, and Black Sesame. 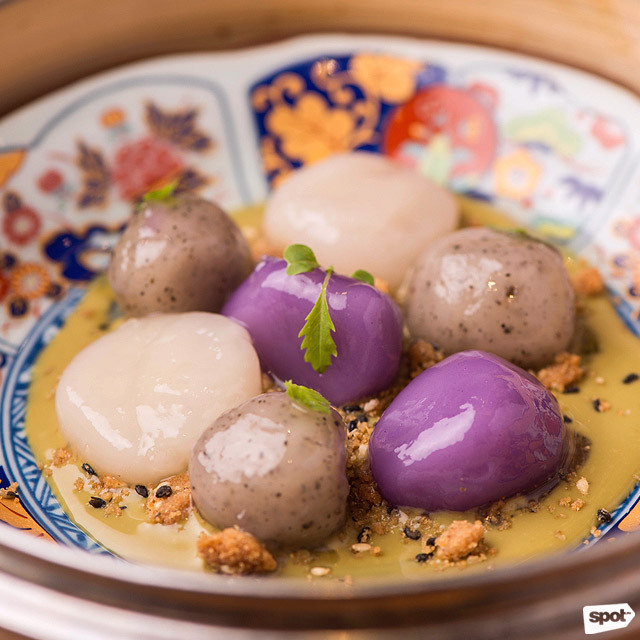 Straightforward in its sweetness, with the pistachio sauce and sesame crumble giving the dish a flavor and texture boost, the Fortune Balls are exactly what you need to cleanse your taste buds. 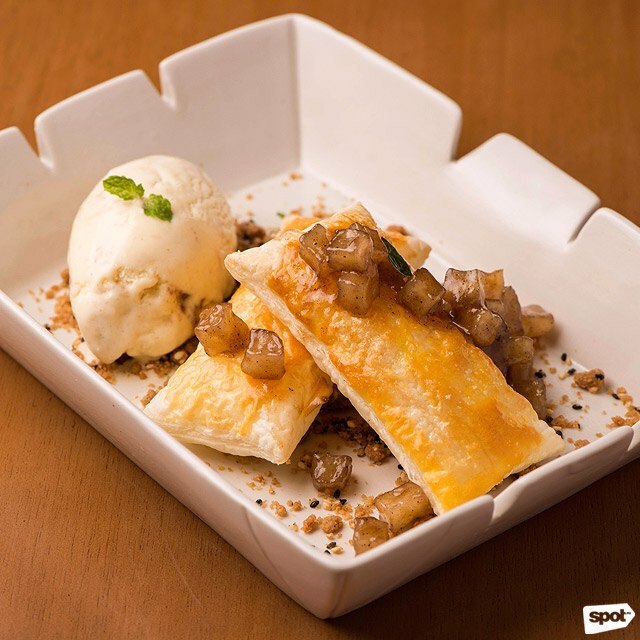 The Jicama Pie is also a must-try—think of it as a deconstructed apple pie, except instead of apple it makes use of Jicama, or Mexican turnip, as compote to go with the fried puff pastry. The dish is served à la mode with a scoop of Five Spice ice cream from Chef Miko’s Freezer Burn, with notes of cinnamon that go well with the rest of the dessert. Ping Pong Diplomacy makes a strong case for inauthenticity when it comes to food, choosing instead to experiment with familiar forms and flavors to create a menu that’s playfully novel. 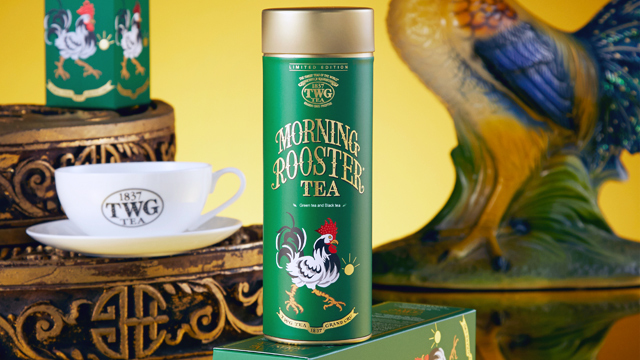 And with results as delicious as this, you would happily welcome the deviation. 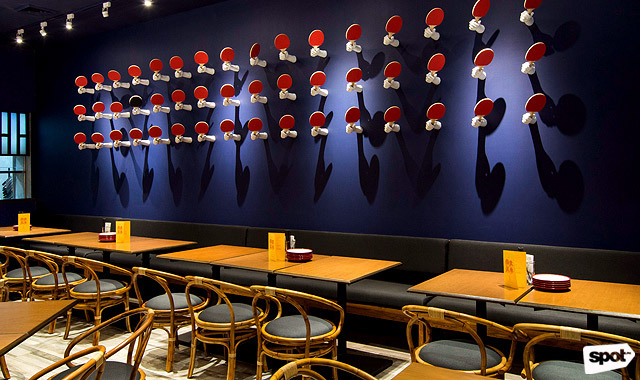 Ping Pong Diplomacy has their tentative opening date set for February 1, Wednesday.